So far, the systems we’ve seen built around the Intel Z370 platform have been pretty premium. While desirable, however, such systems remain out of reach for many of us, and as such the question of what kind of PC you can get for £1,000 is more relevant for the masses. Aiming to answer that question is PC Specialist, which has sent us its new Enigma Elite system. 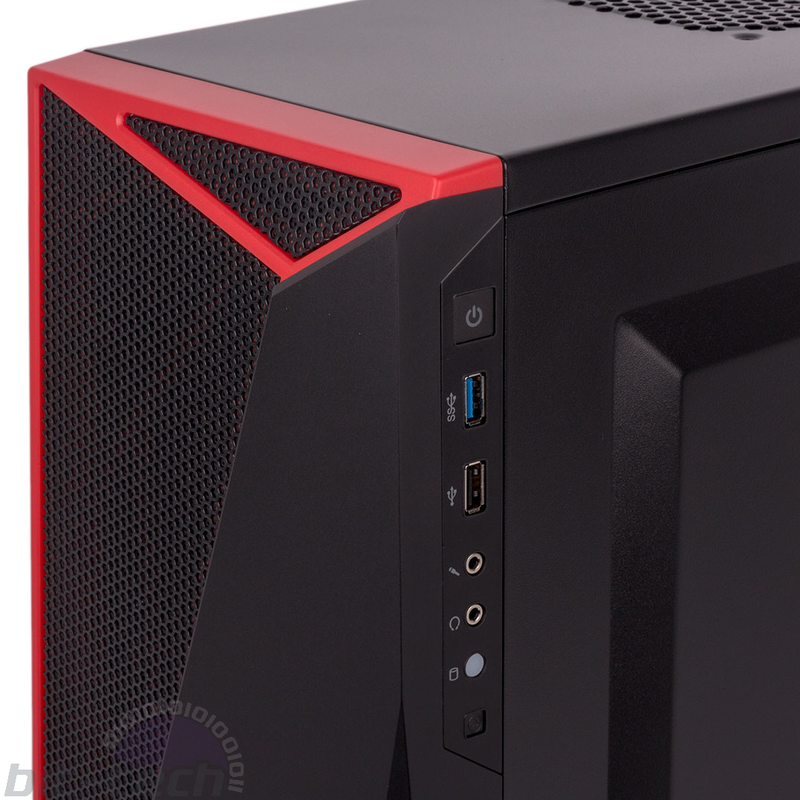 We didn’t get on especially well with the Corsair Spec-04 chassis in our review, and we think PC Specialist could have done better here. £1,000 isn’t a huge sum, but it is substantial, and we think it’s deserving of a chassis with a somewhat more premium look and feel. Downsides of note include the poorly placed I/O panel on the right (the other side to the window), the lack of a roof dust filter, and only having one front USB 3.0 port. 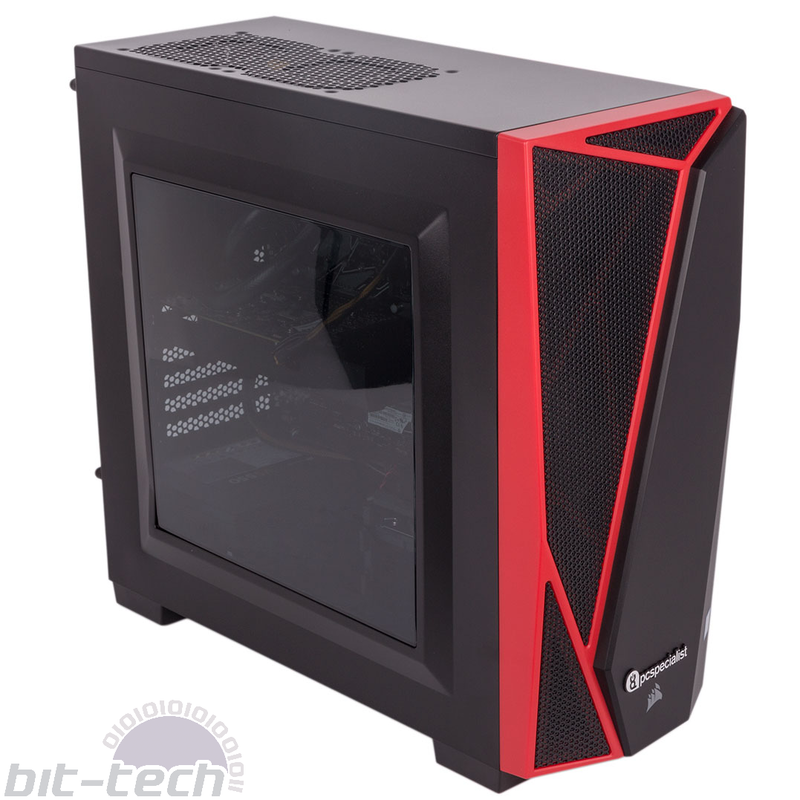 Looking to bolster the case’s aesthetics, PC Specialist has fitted a 50cm red LED strip that runs along the bottom and up the back to add illumination to the interior. 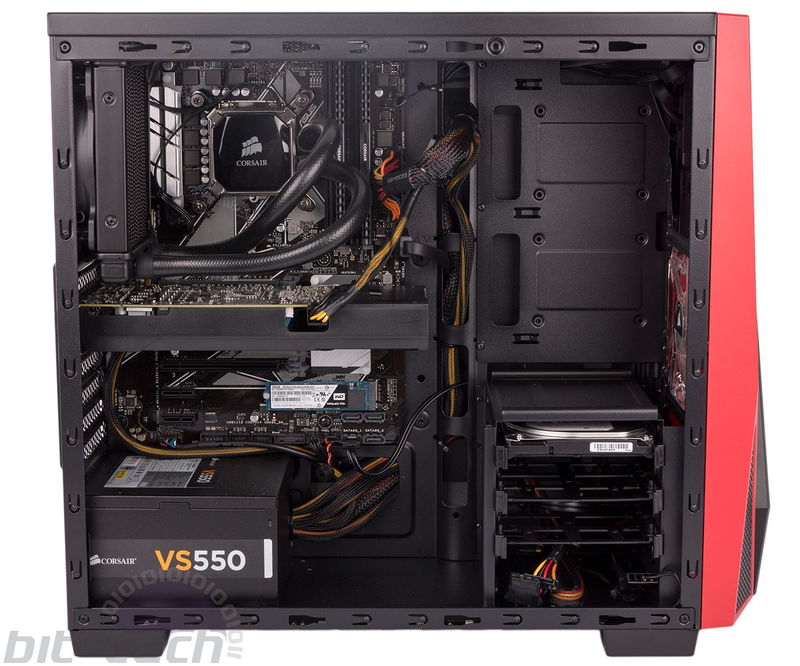 It complements the single red LED front 120mm intake fan that glows through the front panel’s mesh, and it's a valuable if simple addition in our eyes. The CPU of choice is the Intel Core i5-8400, the non-overclockable six-core part of the Coffee Lake family. Being a Core i5 part, the chosen CPU lacks Hyper-Threading, so the thread count is limited to six as well. The venerable Core i3-8350K would also have served well – especially in games – for a little less cash providing it was also overclocked, but it does have two fewer cores, while the Core i5-8600K offers overclocking but is pricier. The chosen CPU appears to offer a good balance of multi-threaded grunt, lightly-threaded performance, and price, but if the former is most important to you, a Ryzen-based system could be worth looking into as well. The CPU has been paired with a dual-channel, 16GB DDR4 kit, with Corsair Vengeance LPX Black modules being the specific DIMMs chosen. The 2,133MHz speed could be higher, but it shouldn’t be a limit in most applications. PC Specialist, like all system integrators right now, is in the unfortunate position of having to use Z370 even for a non-overclockable CPU, since this is the only 300-series chipset Intel is selling for now, meaning users are paying a little over the odds in such cases. The Asus Prime Z370-P is one of Asus' most basic Z370 offerings and one of the cheapest on the market, and this does result in some sacrifices. Most notably, there are no USB 3.1 Gen 2 ports, just four regular USB 3.0 ones. Audio is also dropped from the usual Realtek ALC1220 codec to the older ALC887. Against the grain of 2017, there is also no RGB lighting onboard nor RGB headers, though in this system they'd make little sense. None of these features are truly essential, but if they are to you then you'll need to look elsewhere. The Corsair Hydro Series H60 cooler is a bog-standard all-in-one cooler with a slimline radiator and single 120mm fan fitted as a rear exhaust. 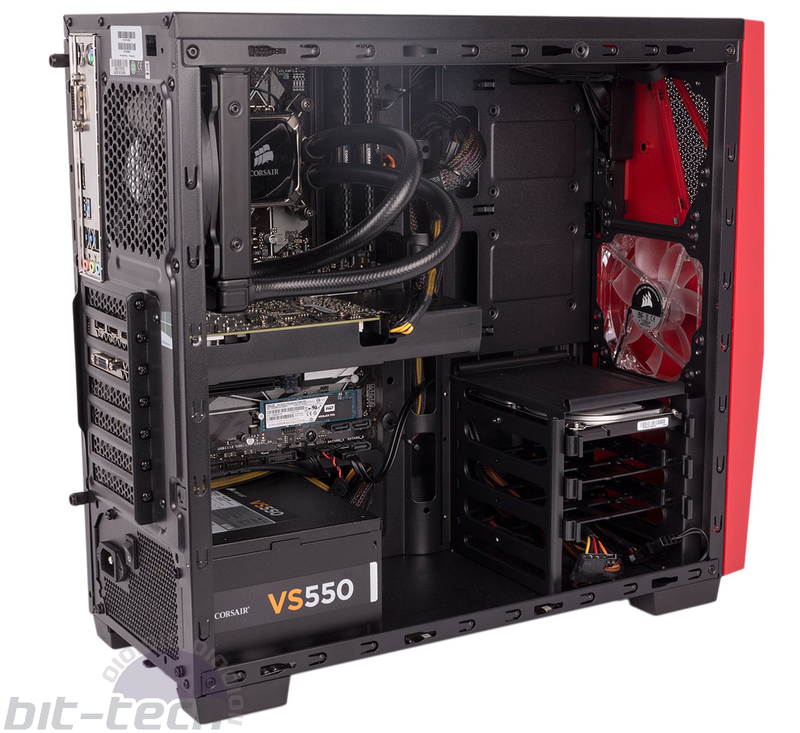 It will be more than powerful enough to deal with heat from the Core i5-8400. 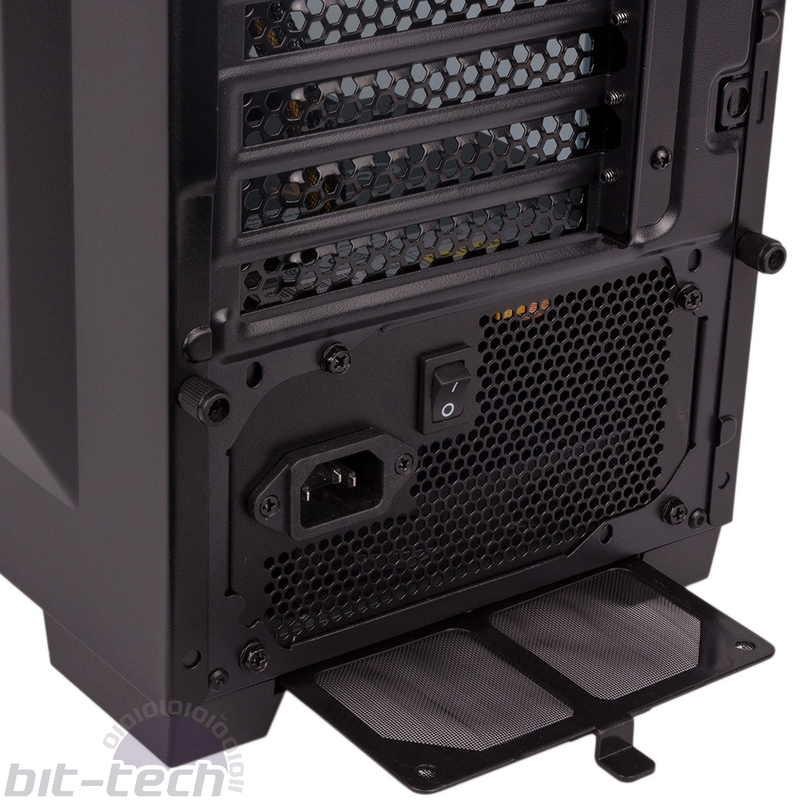 Its fan will balance the system airflow, which means there's no positive pressure to help keep dust out of the top vents, so it could easily build up over time. 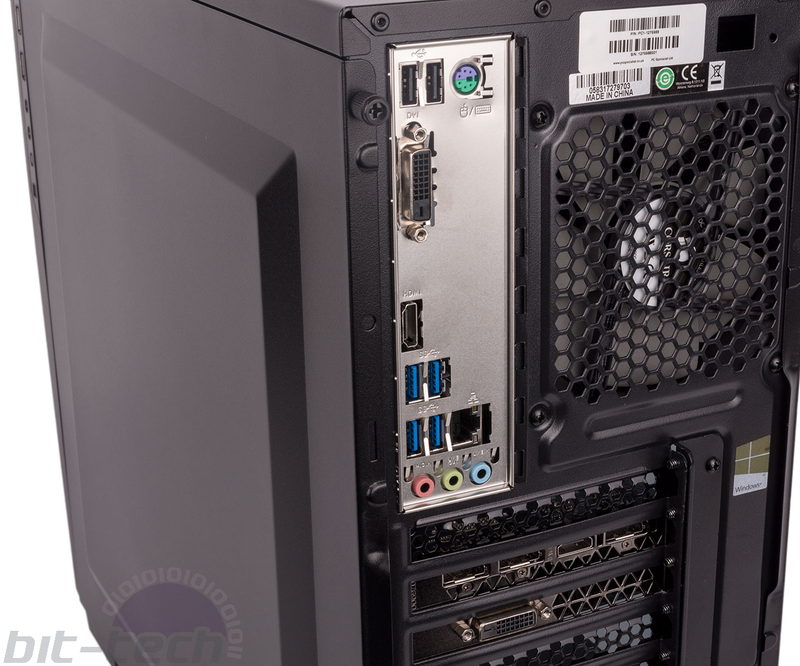 The case fan and CPU fan are connected to the appropriate headers on the motherboard, although we noticed that the pump was connected to a chassis fan header rather than the dedicated AIO pump header. It's hardly likely to make a difference, but it would actually have been neater from a cabling perspective to use it. All fan control settings in the BIOS have been left at default settings. For graphics, PC Specialist has again focussed on maximising bang for buck. The Zotac GTX 1060 6GB has a basic single-fan radial cooler, enclosed such that all heat is directed out of the rear panel. It should offer fantastic 1080p performance and decent 1440p capabilities as well as being suitable for current VR headsets. It is clocked at reference speeds (1,506MHz boost, 1,709MHz) with no overclock applied by PC Specialist. The storage choices net the low latency and high speeds of an NVMe-based SSD with the WD Black 256GB and additional capacity with the 1TB HDD for bulk storage. There's no M.2 heatsink on the motherboard, but for the workloads this PC targets that won't matter. An NVMe drive is perhaps a little overkill when your budget is £1,000, although the price difference between the one here and a regular 256GB (or thereabouts) SATA SSD isn't much. 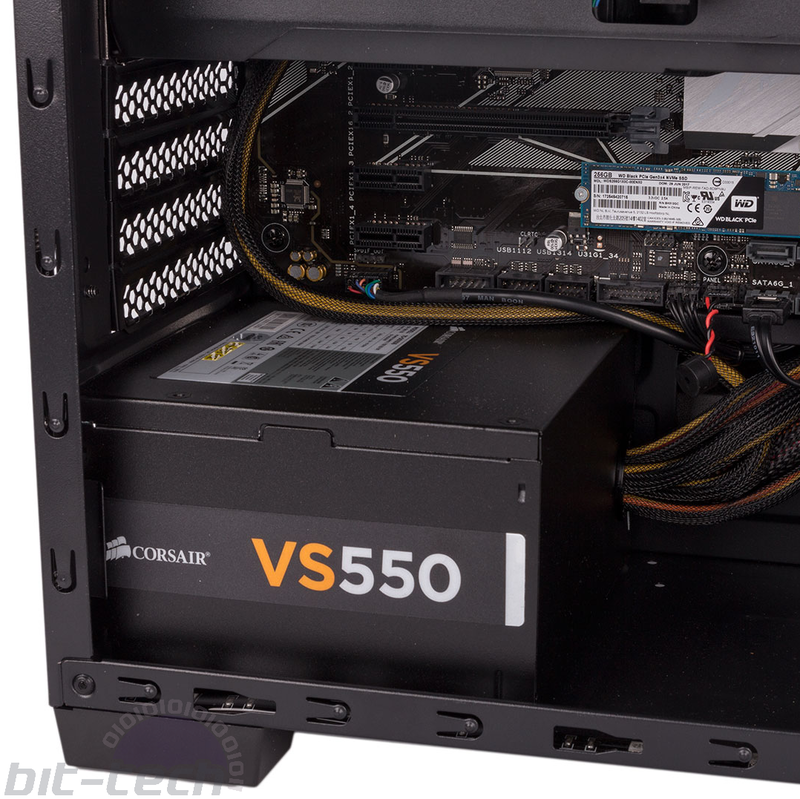 Another entry-level component is the Corsair VS550; it has non-modular cables, an 80 Plus White rating only, and its fan never turns off. Nevertheless, it's from a reputable brand and has more than enough wattage for the components it powers. Opening the case, we found that the weight of the HDD had caused the plastic tray it sat on to fall down the drive tray, despite the tray being secured on one side with a screw. Undoubtedly a shipping issue that was easily remedied, this is still noteworthy, as it points to the lower than usual quality of the case itself. 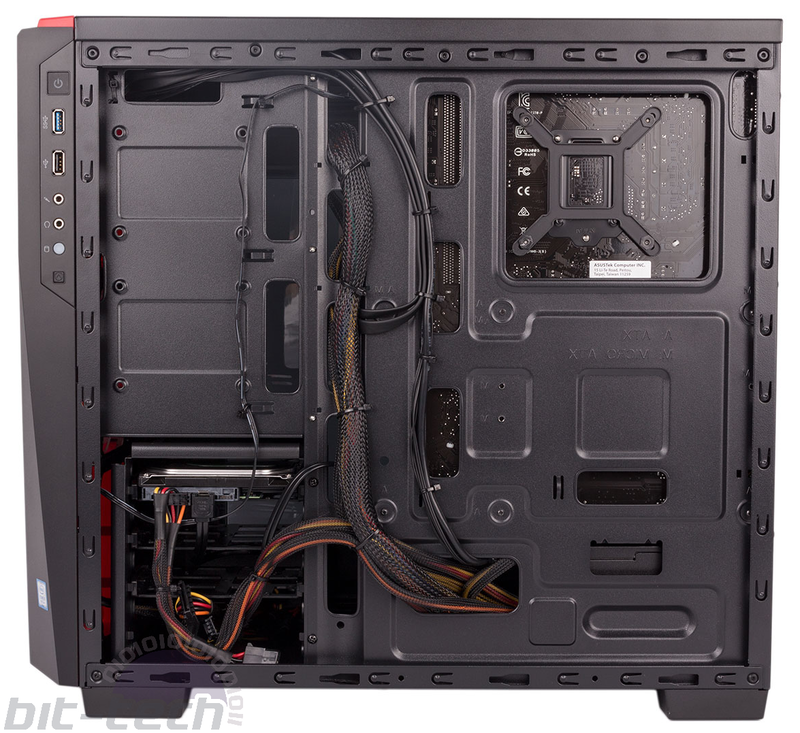 Otherwise, there are no build quality issues to note, and PC Specialist has done a great job of cable routing considering the non-modular PSU and the case used. The Windows 10 Home installation is mostly clean other than a BullGuard trial which can be quickly disabled and uninstalled. The three-year warranty is a little stingy in the terms offered, as the collect and return portion is only valid for one month. Parts are at least covered for a year, while only labour is covered for the full term.